NEW X-931 Touchless Wheel Aligner can quickly and accurately measure the wheel alignment data without touching the tyre or rim. It checks various angles of automobile tyres, including front and rear wheel toe angle, front and rear wheel camber, kingpin caster, kingpin tilt, thrust angle, etc. 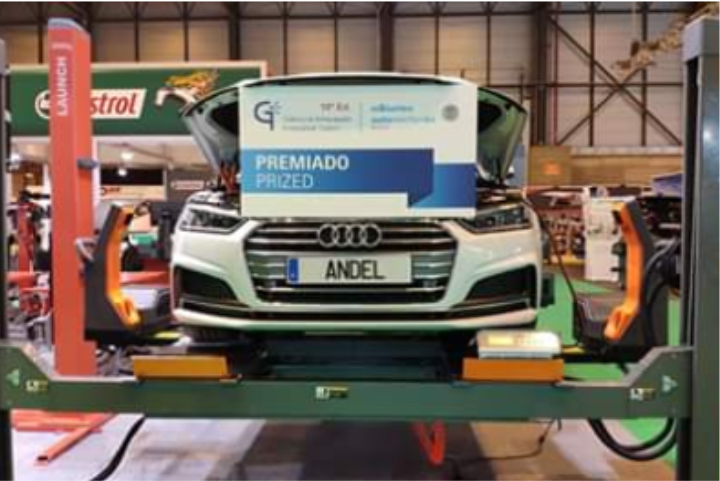 Touchless Wheel Aligner X-931 has won the highest award (Innovation Prize in Workshop equipment) at AutoMechanika Madrid Spain’s leading Automotive Trade fair. The honour won by Launch X-931 is not only the affirmation of the Launch innovation technology but also the power to push Launch to continue developing.